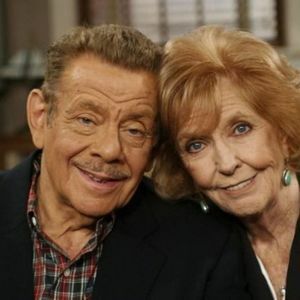 LOS ANGELES (AP) — Anne Meara, the loopy, lovable comedian who launched a standup career with husband Jerry Stiller in the 1950s and found success as an actress in films, on TV and the stage, has died. "I also for got too say she was a wonderful Woman she was I too was a Fan. My Mother & Father told us about the 2 great couple on the Ed Sullivan Show my ..."
" for Ben Amy Jerry & Family. I am doing this out of love for sweet Ann shuch a lovely woman mines me of my Mother also in deed. I too have a lovely Mother ..."